Powered by Construct 2 & CocoonJS! 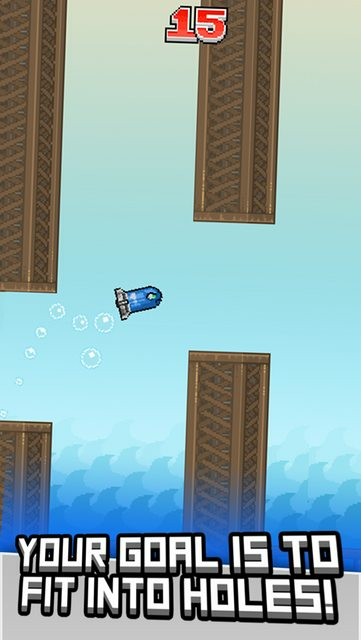 A Flappy Bird clone. Except we have customizations which you can buy with in-game money or earn as rewards for reaching certain scores! 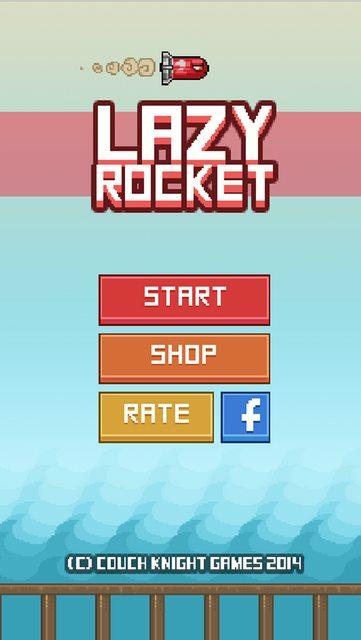 Hope you guys can give me some support, though the game is basically just a Flappy Bird clone, I wanted to bring a visual improvement that is noticeable as well as some added experiences. Any feedback would be good. I've also heard reports that certain devices (and especially devices without WebGL support) not being able to run the game. I could use some help with more reports here! "Your goal is to fit into holes"? I hope this game is rated D for Dirty! Nah, but seriously. I am diggin' your visual style with a bulldozer! Picking your rocket/trail is one of those simple additions that makes me all giggly inside. RandomFellow Aww, thanks! Haha, I don't want to say that's intentional but it is :P have you tried it? Rory - this looks good. Nice graphics. Rory - On game over screen, I always get the "Free 2X Money" button to use - is that normal? Also, when I exit shop, would it make more sense to go back to level instead of homescreen? That's a very good suggestion. I'll get that done for the next version! Rory - my "Free 2x Money" button is active even when there are ads at the bottom. I don't mind - it is extra free money, but just wanted to make sure that was your intention. Also, this is just my impression, and you can obviously do what you want, but it seems like the tap sound effect (chirp sound) is too loud and the point sound effect is too soft. It seems to me that the tap sound effect is the one you will hear a million times and it should be softer so as not to get annoying. And the point sound effect is heard less often, so should be louder or more prominent, I guess. Anyway, I'm still playing the game, so good job. Thank you so much for the feedback, I will take that into consideration for the next version. I definitely agree that the jump sound is too loud! I want to say, your game is great! The gameplay is awesome and the graphics are really great. The realistic explosion doesn't fit with the game's graphics. When I go back to the menu, I see a small vertical line in the right. 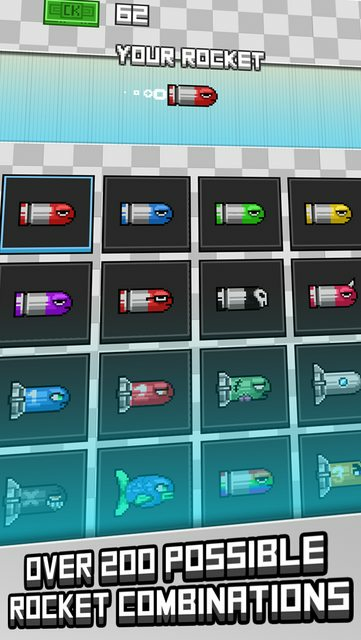 However, these things could be done only to improve the game, which means your game is great as it is. Good luck with the development. That's how a clone is supposed to be done properly. Seriously, seems like a well made game, since it attempts to do more than just copy the original. 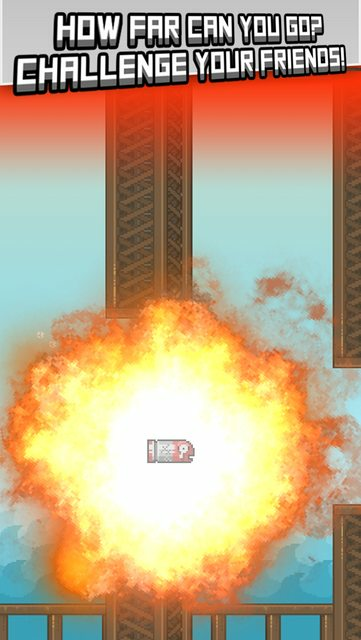 - The realistic explosion doesn't fit with the game's graphics. - When I go back to the menu, I see a small vertical line in the right. Thank you very much for the feedback elafreat ! About the realistic explosion, that break in consistency of graphic style was intended. It's to give players a good shock the first time, and to exaggerate the death. It's hard to explain why I like it this way, but I just thought it fit, by not fitting in! Samsung Galaxy Tab 3 lagging..? That doesn't sound good. I have done some optimizations that improve the FPS in the next update quite drastically on my PC, but I have yet to test it out on devices that lag. The problem is the limitations of hardware I have access to, I couldn't test it on any android tablets before the first release. Maybe when the update is out, I can PM you to try the latest version and give me some feedback if it has improved? About a mobile HTML5 version, I haven't considered it so much because I don't feel that many people actually play web games on mobile. But I don't know the exact statistics on this, I'll consider. Thank you! As for the exitting problem.. It might be a device specific problem, seems to be fine on my android devices so far. I agree with the explosion comment. Should match games graphics better. However, I am playing on Droid Razr M and have no problems at all with lag or extra line on side.